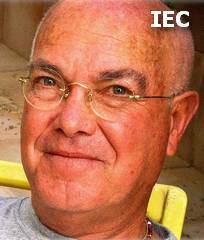 Born: 24 September 1943, Jerusalem, British Mandate of Palestine [now Israel]. His family [father: Ernst Ezriel Baer (1890-1968)] came from Halberstadt, Germany. Went to London, UK, shortly after the Six-Day War . Education: London School of Film Technique [LSFT] [now London Film School], London, UK. Career: Teaches part-time at the Yolanda and David Katz Faculty of the Arts of Tel Aviv University. Awards: Daytime 'Emmy' Award nom  for 'Daddy, I'm Their Mama Now'; Daytime 'Emmy' Award  for 'Andrea's Story: A Hitchhiking Tragedy'; Daytime 'Emmy' Award  for 'But He Loves Me'. 'Irene in Time' : Veteran Writer/Director Henry Jaglom has been making small but acclaimed indie films since the early '70s, and Emmy Award-winning Israeli DP Hanania Baer has been working with him since 1984. By his own estimate, Baer has shot 'about 12' of Jaglom's films. Their recent feature 'Irene in Time' was shot on location in L.A. over a two-week period. Baer says that the shoot typifies Jaglom's unorthodox working methods. 'The camera is just like another character for Henry and has a dialogue with the actors,' he says. 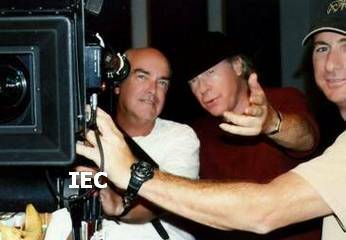 [Left] with dir Henry Jaglom and 1st c.asst Don Presley - "Irene in Time"